Theorem 10.7 Chords equidistant from the centre of a circle are equal in length. Given : C is 𝑎 circle with center at 0. 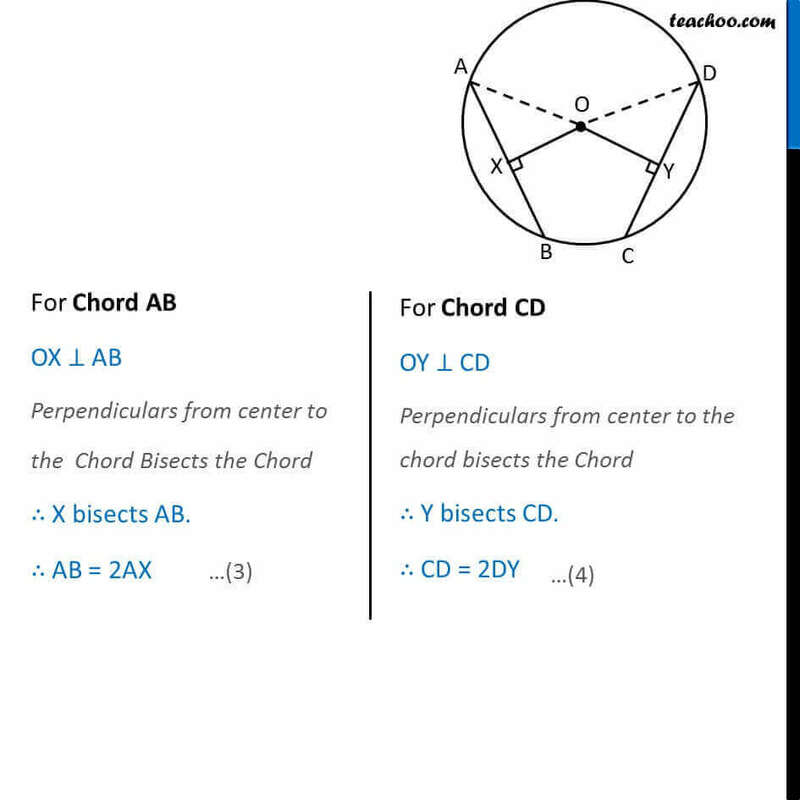 AB and CD are two Chords of the circle where OX is distance of chord AB from center i.e. OX ⊥ AB & OY is distance of chord AB from center i.e. 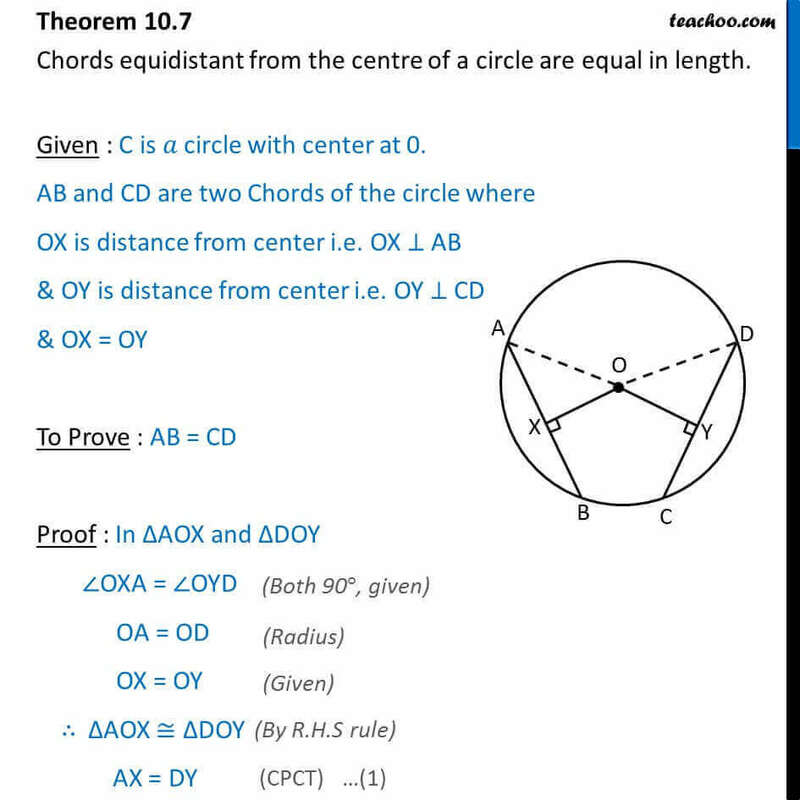 OY ⊥ CD & OX = OY To Prove : AB = CD Proof : In ∆AOX and ∆CDY ∠OXA = ∠OYC OA = OC	OX = OY	∴ ∆AOX ≅ ∆COY	AX = CY For Chord AB OX ⊥ AB Perpendiculars from center to the Chord Bisects the Chord ∴ X bisects AB. ∴ AB = 2AX For Chord CD OY ⊥ CD Perpendiculars from center to the chord bisects the Chord ∴ Y bisects CD. 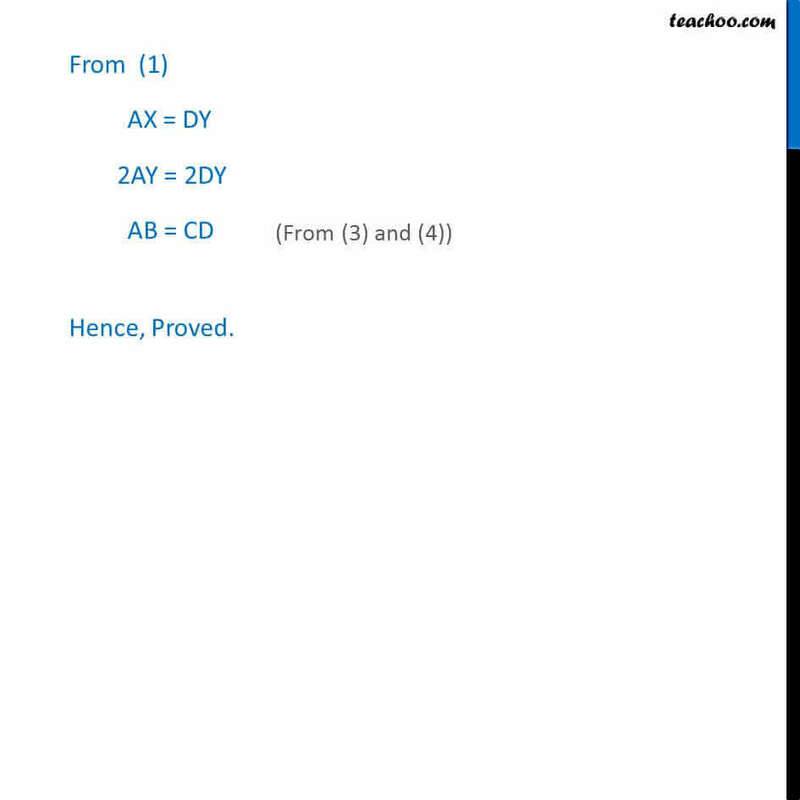 ∴ CD = 2CY From (1) AX = CY 2AX = 2CY AB = CD Hence, Proved.